As we all know iPad stands are pretty much 10 a penny but there aren’t that many that go out of their way to advertise the fact you can hold your iPad in its less than natural position, upside down. [pullquote_left]Believe it or not there is a multitude of reasons why you’d want to hang your iPad upside down[/pullquote_left]Almost immediately I can hear people thinking, why would you want to do this? The 1st answer would be to screw underneath a kitchen cabinets or stand so you can keep your iPad out of harms way whilst cooking. 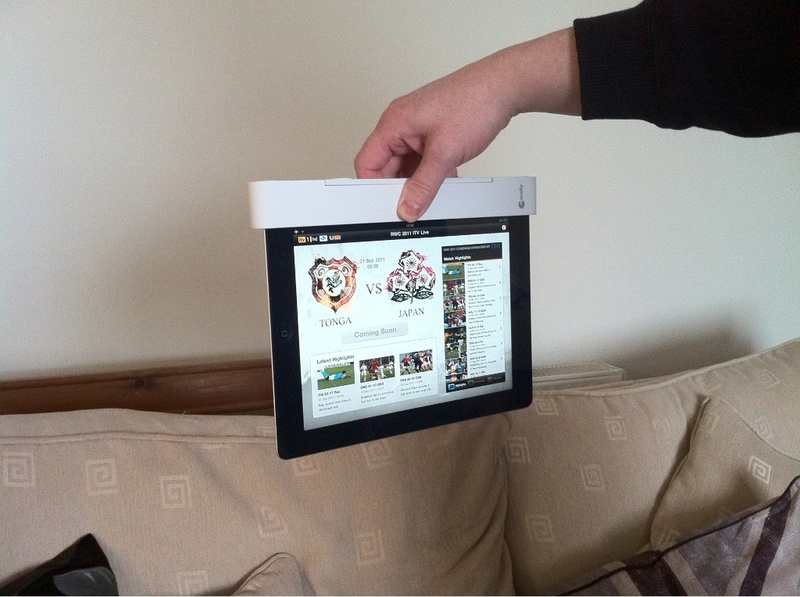 There are probably 100’s of other usages out there that escape me at the present time but you get the idea, it;s secure and allows you to pop your iPad in and out with minimal fuss. 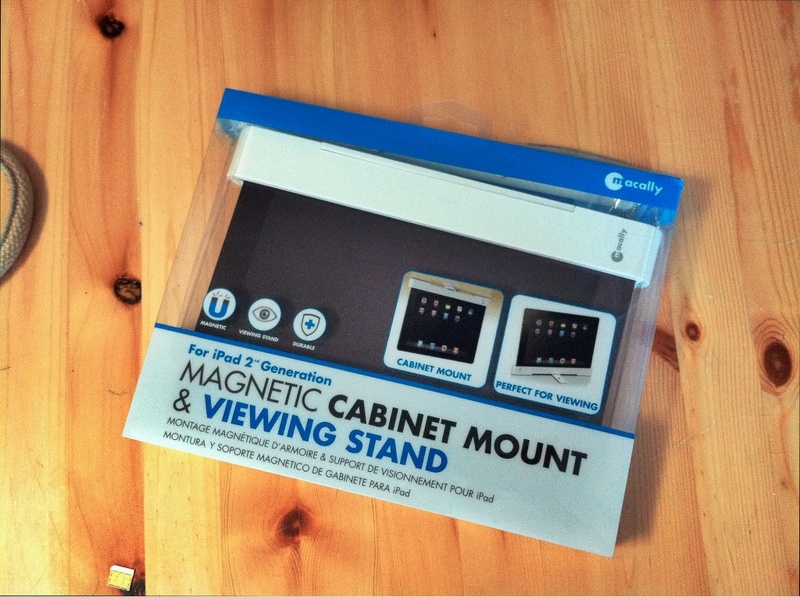 Packaging is simple and to the point and shows you what the iPad will look like when installed into the holder. it is rare that a company will go out of its way to package products to be shown in a retail environment and I have to admit there is a huge part of the me that wants to eBay the iPad carboard cutout 😀 Contents are minimal as what you would expect, a manual, screws and the stand itself. Let’s move on to the magic component of the mike stand. The white color is a perfect copy of the Apple white and looks good when in place. Like you would expect it’s a tight fit and the iPad slides in and out of thein a reassuring fashion. Edges are smooth and refined so there’s no real danger of scratching or scuffing the iPad if you were to use this stand on a daily basis. 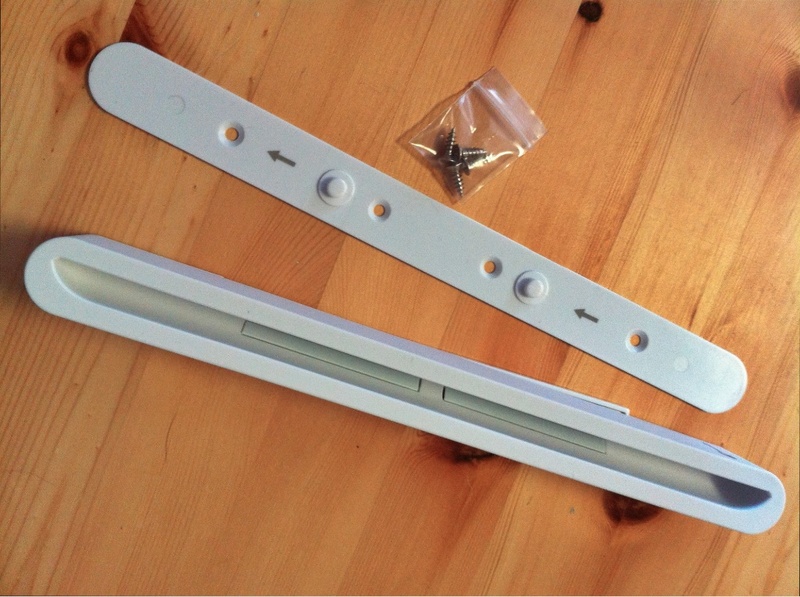 Of course I have no doubt that the big company like MacAlly are never going to release a product like this without stringent testing but I wasn’t about to stop me testing the Magstand over the safety net of my sofa. With test passed and leaving me suitably reassured it was then time to what the state and move on to something a little more vigourous and quite possibly not what this stand was designed for. As they say actions speak louder than words and if a picture can paint a 1000 words, here is our video featuring yours truly. Believe me when I say I was giving that some welly and it was only near the end as my confidence was growing but I felt the slightest bit of movement. the magnets inside the stands did a superb job and could feel them having their way with the iPad and pulling it back into place. Before anyone asks no I am not going to hold the iPad in my hand and swing my arms in a circle as fast as I can until it comes flying out, unless someone wants to sponsor me an iPad. Obviously no one is going to be surprised that there is a limitation of liability that basically states if you break your iPad whilst using this product then the manufacturer is not liable in any way shape or form. Let’s just hope there are no manufacturing defects or faulty product runs that can happen with any product not just this one I might add. Okay, so the more eagle eyed viewers will see my son in the bottom right of the picture there but that’s only because I’m pretty sure my landlord doesn’t want me screwing things into the kitchen cabinets. I have done the upsidedown usage test using a good old-fashioned plank of wood. The plastic stand may look a little bit weak and feeble but when screwed into my kitchen cabinet everything was held true and fast in place. Even with some fairly zealous tapping the screen and ham-fisted scrolling there was no sense that the plastic stand was going to flex and break. The only thing I would say is make sure you check the length of the screws before installation, like I neglected to do, she don’t end up with screw heads cracking your plates! To my knowledge there isn’t another product like this on the market and if there are ways I certainly haven’t seen it. kudos points definitely have to go to MacAlly for catering to a need but no doubt exists. The stand is well engineered, thought out and when you get over the initial fear factor it’s an all-round very polished product which is what you would expect coming from the Netherlands based company. 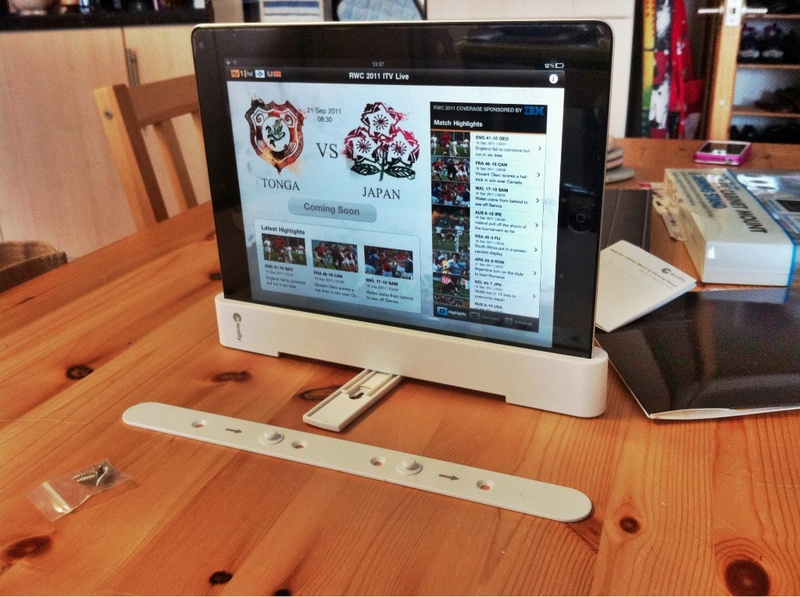 More information and where to purchase the Macally Magstand is available over at their website.